Jokūbas Vygodskis (Jakub Wygodzki in Polish, Yankev Vigodski in Yiddish) was born in Bobruisk now in Belarus in 1855 and his family moved to Vilnius in 1860, where he received a traditional Jewish education. He completed high school in Marijampolė and attended medical school at the University of Saint Petersburg, additional studies in Vienna, Berlin, and Paris, after which he returned to Vilnius with the city’s centuries-old Jewish community. 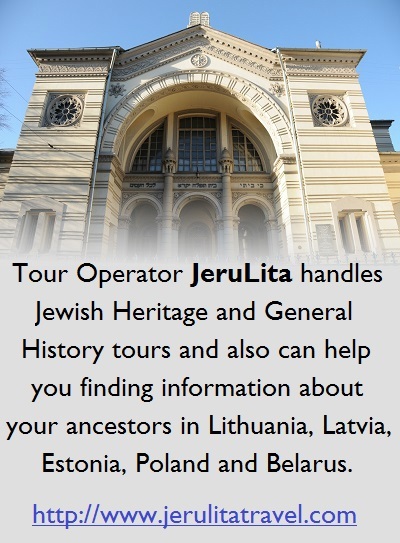 Vilnius always had sufficiently capable people who knew how to organize the life of the Jewish community according to ethical standards, providing a helping hand to the poor and weak. Vygodskis organized the Society of Jewish Physicians in Vilnius besides practicing medicine as a gynecologist, pediatrician and medical researcher, as well as writing; initially he published medical articles in Russian and German journals, but later contributed to the Yiddish and Hebrew popular press and wrote at least three books of memoirs in Yiddish. 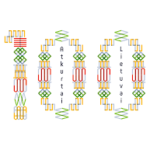 In September of 1917 the Lithuanian Taryba (national council) was elected in Vilnius with the goal of establishing an independent state. Wygodzki was appointed minister for Jewish affairs. In 1918 he joined the World Zionist Federation and is called a general liberal Zionist in the literature available on him. 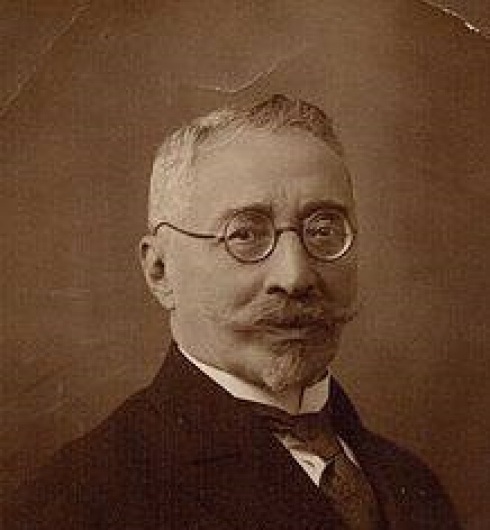 Already a leader in the Jewish community, Dr. Vygodskis assumed the role of chairman of the Vilnius Jewish community in 1919 when Poland occupied the Lithuanian capital. In January, 1919, the seat of the Lithuanian government was forced to move from Vilnius to Kaunas. Dr Vygodskis refused to leave the Vilnius community, so Dr. Max Soloveitchik was appointed minister for Jewish affairs in his stead. Although Vygodskis was a proponent of independent Lithuania, he eventually became a deputy in the Minorities Bloc in the Polish parliament, the Sejm, starting in 1922, and urged Jews in Vilnius to remain neutral and work on maintaining their Jewish identity instead of taking sides in the Polish-Lithuanian dispute. Vygodskis was among the earliest proponents of Zionism, understanding Jews needed their own state in the modern world. In 1903 the father of Zionism, Theodor Herzl, visited Vilnius, and Lithuanian Jews already promoting the idea of Zionism moved their views closer to those of the now-global movement to consolidate forces. The issue of self-defense came up again with the weakening of Germany in the war and the 1917 Russian Revolution, which undermined the German military administration in Lithuania and brought it into disrepute. Because of wide-spread robbery and theft, a number of Jewish communities organized their own self-defense scheme. They procured some of the arms they needed from German soldiers who had deserted their units. The German military administration allowed Lithuanians to convene a national assembly to elect a body which would represent Lithuanian nationals, the Taryba (Council), but Jews were not given the same opportunity to appoint an official representative body of their own. The activities of the community committee were limited exclusively to social assistance. A number of Jewish public figures of good reputation among Jews and the wider public took it upon themselves to represent Jewish interests, including Dr. Vygodskis, Rabbi Yitzchak Rubinstein of Vilnius, Rabbi Israel-Nissan Kark of Kaunas, and others. 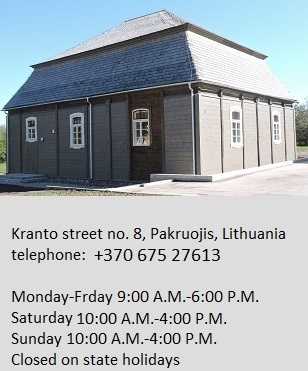 They strengthened contacts with the German Zionist center and maintained ties with the Lithuanian leadership who proposed Jews send two members to the Council when it was convened, in addition to the twenty Lithuanian members. The Lithuanian condition, however, was that they would select the two Jewish representatives and that candidates should have mastery of the Lithuanian language. 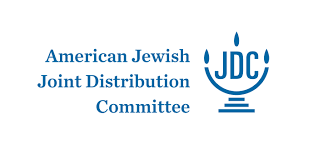 Jewish representatives rejected this condition and demanded the number of Jewish members on the Taryba should be one sixth of the total, representing the actual Jewish ratio of population before World War I. The Jewish leadership demanded that the military administration permit them, as it did the Lithuanians, to convene a national assembly, to discuss their future, to prepare the conditions for national autonomy and to elect their own delegates to the Taryba. In October of 1917 chairman of the German Zionist Organization Dr. Arthur Hantke visited Lithuania. After discussions with the Jewish leadership he submitted a memorandum to the military administration in which he supported Jewish demands. Max Varburg and Paul Nathan, German Jewish leaders, also sent the administration a memorandum to the same end. Vygodskis embraced Herzl’s brand of Zionism while recognizing the return of the Jews to their historical homeland was fraught with difficulty and complicated, albeit necessary. Jews had long ago put down roots in Lithuania, which had become the land of their forefathers, and although most Jews were great supporters of Lithuanian statehood, ethnic Lithuanians tended to treat them as a bit alien. In both the Russian Empire and Germany there were many assimilationist Jews who called themselves Mosaic subject of the Russian Tsar, or Germans under Mosaic Law, considering their land of residence their true homeland. Dr. Vygodskis held real privileges in the Russian Empire, for example, he was allowed to study medicine. He married the daughter of a Jewish military doctor and they settled down in Vilnius together. Despite his level of comfort with the status quo, Vygodskis rallied behind the very uncomfortable idea of the Jewish people moving back to the wilderness of Palestine. Vygodskis’s idea was of a gradual return. First and foremost, Jews had to survive, and to keep their Jewish identity alive. “Being a Jew requires much knowledge,” he used to say. He well understood how difficult it was to convince people to keep learning new things. Even educated Jews failed to understand that by intentionally rejecting part of the Jewish legacy, they were also rejecting their own Yiddish heritage and the Bund. If Vygodskis’s Zionism had been embraced by more Jews in the early 20th century, it’s possible many more would have escaped the Holocaust, but that’s the sort of “what if” historians are wont to avoid as a general rule. “During discussions in Berlin at the beginning of 1918, representatives of Lithuanian Jewry (Rabbi Yitzchak Rubinstein of Vilna and Rabbi Israel-Nissan Kark) with the leadership of the Zionist Organization and German-Jewish public figures, also raised these demands [for a Jewish national assembly to discuss their future, prepare the conditions for national autonomy and elect representatives to the Lithuanian Taryba]. In addition to the demand for proper representation on the Taryba, the demand for recognition of the right of the national minority for autonomy was emphasized in the deliberations. The Great War had a lasting impact on the Jews of Lithuania. Vygodskis, who helped organize support for internally displaced Jews who were “evacuated” from the front by the Russian authorities, recalled the call-up of young men in Vilnius in August, 1914. 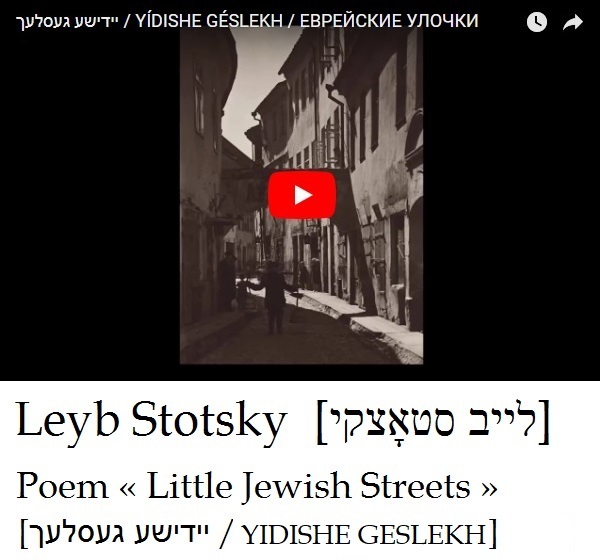 Whey a contingent marched by on the street, some of the Jewish boys saw Vygodskis watching them, and called out: “We will not give up, we will maintain the honor of Jewish citizens!” Vygodskis included the memory in his book of memoirs “In the Storm” (In shturm) in 1921. Although Jewish soldiers fought as well as others, after initial defeats of the Tsarist forces in 1915, wide-spread persecution of Jewish civilians and soldiers began. Old accusations going back to the Polish-Lithuanian uprisings and the Napoleonic wars resurfaced, claiming Jews had been disloyal, had spied for the Germans and had engaged in sabotage. Religious Jewish men with long beards were accused of hiding radio transmitters in their facial hair. Vygodskis saw all this as a kind of national lunacy, ignorance and a willful ignorance to see the facts. Even after the war Vygodskis continued to organize medical aid and never refused to treat anyone who asked, Jews as well as non-Jews and refugees from all sides. Vilnius Poles at the time demanded Jews pay the largest contribution to the German occupational regime. Dr. Vygodskis wasn’t afraid to talk the German military commander and asked him why they had started a war if they couldn’t feed their own soldiers. For his efforts, he was arrested for anti-German statements by the German police in March of 1917 and imprisoned at the Czersk POW camp till April of 1918. As fascism reared its ugly head in the lead-up to World War II, Dr. Vygodskis became the chairman of the Vilnius Anti-Hitler Committee. 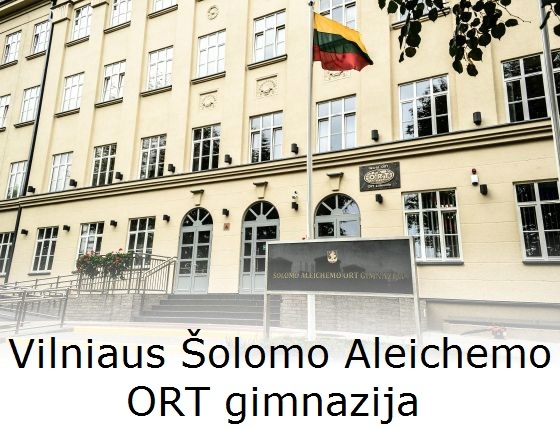 Anti-Semitic sentiments grew in Polish Vilnius, not least of all at Vilnius University, where in mid-1930 some students began demanding Jewish students sit on separate benches which they called “ghettos.” The Jewish students of course refused to do so. In protest, the Jewish students attended lessons standing. They were fist fights. Vygodskis advocated for the Jewish students. Firmness, self-respect and ethnic solidarity helped dozens of Jewish students complete university at that time. In his memoirs Vygodskis recalled pogroms of the period. They increased significantly when World War II broke out. In 1939 Jewish shops and workshops were attacked with their windows broken out and there were home invasions at Jewish apartments. And there were casualties. Vygodskis managed to stop at least one such pogrom and of course he treated the Jewish victims. 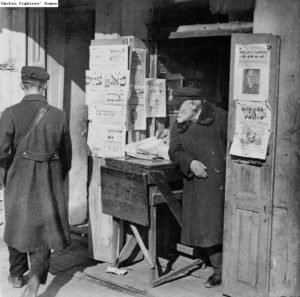 The Sovietization of Lithuania in 1940 saw many Jewish institutions shuttered. Although the times were uncertain, no one thought the second invasion by Germany would be so rapid and so horrific. 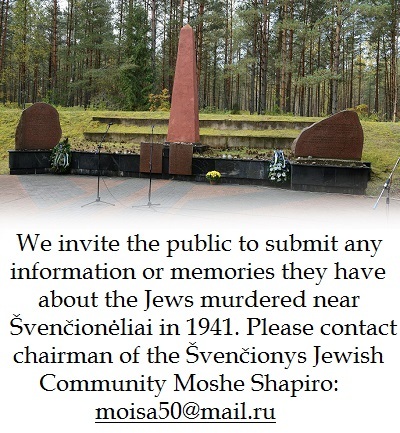 Jewish testimonies recall how at many locations even before the Germans arrived groups of Lithuanians formed to exterminate Jews were already operating. Thousands of Jews were murdered by such groups in June and July of 1941. Vygodskis was among the first to fight the Nazis, and set the example for many other Lithuanian Jews to follow in defending their lives and dignity in the ghettos and forests. Dr. Vygodskis wife, also elderly, was sent to the ghetto. The entire community and first of all the physicians took care of her until she was murdered by the Nazis. Dr. Jokūbas Vygodskis was an exceptional man and was exceptionally loved by the Vilnius Jewish community. Known as the father of the Jerusalem of Lithuania (Vilnius), Vygodskis was the most prominent Jewish public figure in the city. On his 80th birthday the community council named the local maternity and children’s hospital in his honor. In 1940 he headed the relief effort for thousands of refugees who had fled to Vilnius from Nazi-occupied Poland, only one in a whole life of good and humanitarian deeds to help the poor and needy and educate the public.